The new BIC/Acoustech PL-200 II offers improved bass performance and more placement flexibility than the original top-rated BIC PL-200. Like the PL-200, the PL-200 II is powered by an audiophile state-of-the-art BASH amplifier capable of delivering up to 1000-watts dynamic peak output. 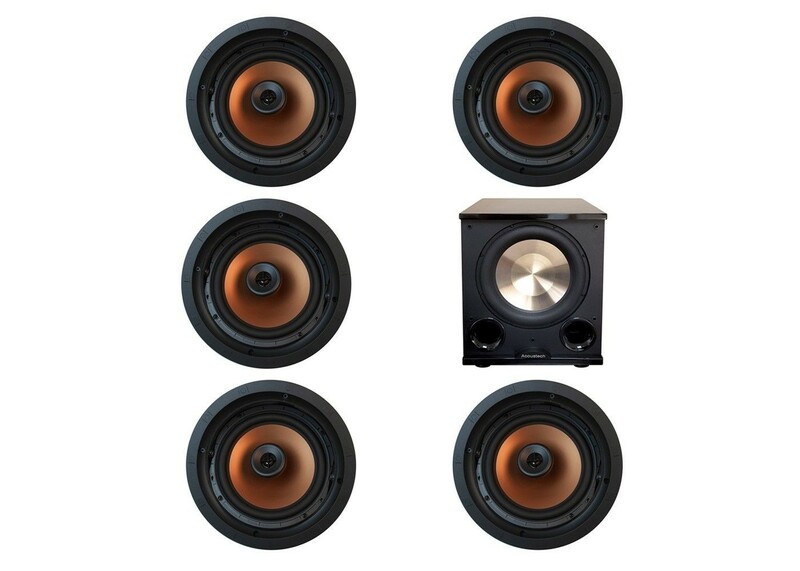 Its specially designed heavy duty long-throw 12” woofer can move an impressive volume of air with exquisite control while delivering prodigious amounts of bass for both music and theater applications. The PL-200 II’s dual flared front ports enable a more even transition of sound into the room and dramatically boost deeper bass frequencies providing a smoother frequency response, virtually flat down to 20Hz. Wide port flares eliminate port noise and increased cabinet bracing eliminates unwanted cabinet vibrations for even cleaner sound. The front porting also enables extra placement flexibility, including the option of being placed or built into a cabinet. The PL-200II has an elegant enclosure with hand-rubbed black lacquer on the top and bottom. Hand-rubbed lacquer ensures each cabinet has a deep gloss shine and is more scratch resistant than most lacquer finishes on the market.